I hit the 10.5 version of the Ping G best. 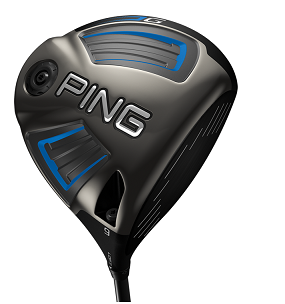 This is a very long and very accurate driver and the best on the market in my opinion. The combination is tough to come by, but I consistently hit draws and fades around the same distance. I found that teeing it lower produced a better ball flight as making contact near above the sweet spot took off a good bit of distance. Contact made just to the right or left or underneath the sweet spot produced very good distance and accuracy. When making contact just to the outside of the sweet spot, the ball tended to bend right to left back online, and the opposite was true when contact was made to the inside of the sweet spot. This is just what we’re looking for in the forgiveness category. The G1 is not a far cry from the previous G30, which is also in our top 5 selections for this year. Really the “Dragonfly” design on the top of the head is the main difference. It has a little more aesthetic appeal. The head is a little larger than I prefer, but it has such a nice feel at address, it instills confidence that you will crush it. The G SF Tec version places more weight toward the heel of the club to help produce a right to left ball flight.